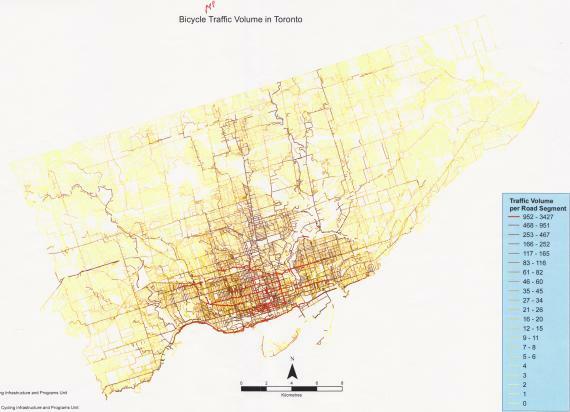 In 2014, 51 Torontonians were killed and many more were seriously injured in traffic crashes. 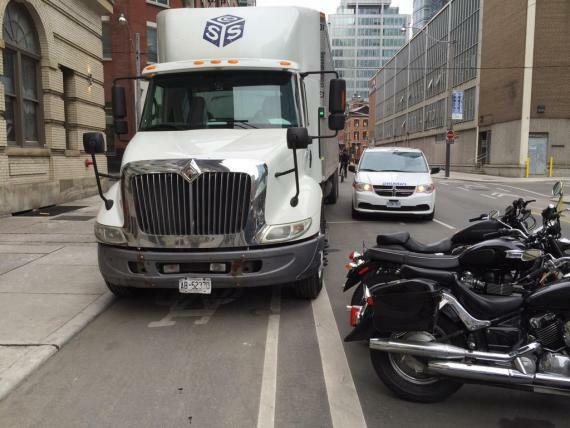 As a city, we can and must do better, particularly for pedestrians and cyclists, our most vulnerable road users. We’re going to build on what’s worked in other jurisdictions and the plan will focus on international best practices from comparable jurisdictions, such as Vision Zero. 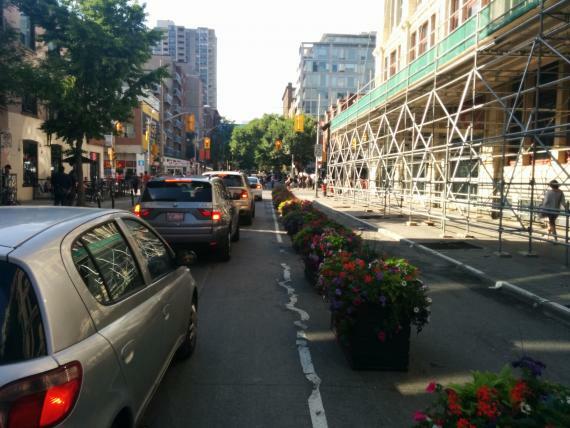 It's been a long, long time since bike lanes for Bloor Street had been first proposed. Just ask Albert Koehl, lawyer and cycling advocate, who detailed the history—first proposed in 1977! (Or Hamish Wilson, who for many years carried the torch despite the "Bloored vision" of City Hall—tip of my hat to Hamish's famous turn of phrases for Caronto). I've noticed the City has started painting the bike lane extension along Richmond from Parliament. They've almost made it to Sherbourne. 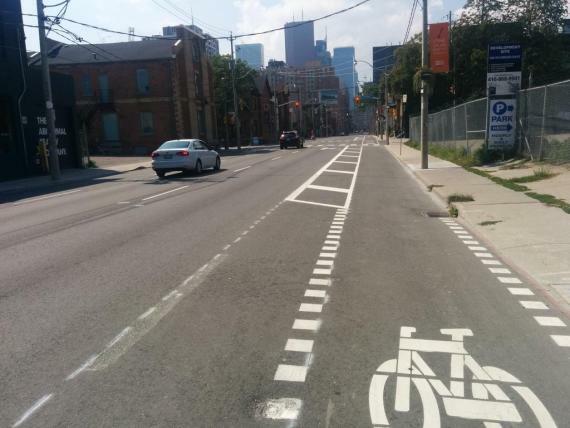 Like the existing pilot west of University the bike lanes take over an existing full lane. No flexiposts nor planters yet for the pilot. 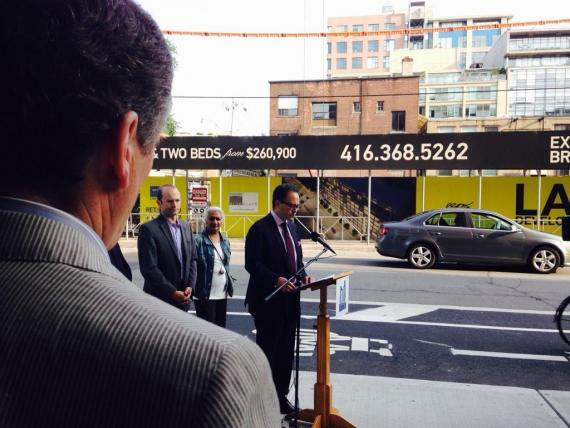 This morning Councillor Denzil Minnan-Wong officially announced the pilot for the Richmond-Adelaide "cycle tracks" to the media. Attending also were mayoral candidate John Tory, councillors Mike Layton, and Ceta Ramkhalawansingh—interim Ward 20 councillor.